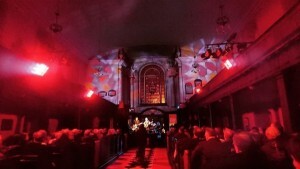 Two of Ireland’s finest songwriters and performers Luan Parle and Clive Barnes have for many years been gaining an international reputation as solo performers. For the past three years they have been performing together to sold out audiences across Ireland, US & Europe. Meteor & Tatler Award winner Luan Parle has had numerous hits & accolades. Her top 10 hit single ‘Ghost’ spent three months in the Irish Charts and was the most played Irish single of that year. Roll The Dice was a Luan’s last EP release with 3 single releases from the EP titled ‘Day Is Done’, ‘Roll The Dice’ & You’re Not Here. All single releases topped the iTunes Chart, with ‘Day Is Done’ peaking at no. 8 in the Irish Airplay Charts & no.35 in the overall airplay charts, reaching an audience of almost 8 million listeners. Parle released her critically acclaimed album ‘Free’ in 2007. To date she has released 3 studio albums and is currently working on her latest material due for release in 2018. Clive Barnes is highly regarded as one of the finest performers on the roots circuit and has been gaining a worldwide reputation as one of the finest songwriters and guitarists on today’s scene.Having released four critically acclaimed albums of his own, he has played and recorded with some of the finest musicians on the world stage including Joe Cocker, Taj Mahal and Eric Bibb and also shared stages with Dr John, Jeff Beck, Solomon Burke, The Blind Boys of Alabama, & Gary Clark Jr to name but few. Barnes has played numerous US, UK and European Tours and taken various awards, Including Album of the Year for “Welcome to Farewell” in the US magazine ‘Acoustic Guitar’. His new album ‘Get Low’ is due for release early 2018. Clive will accompany Luan on stage while also playing a solo set for what promises to be a very special night of music and an opportunity to see both these performers together. “Clive is a guitarist who can make one guitar sound like six. Barnes transported the entire, hushed venue across the Atlantic to where the paths taken by the Delta Blues, Tom Waits and Bruce Springsteen all led to his own special territory. Balancing intensity with between song banter that would challenge any stand-up, Barnes’ songs were a revelation.